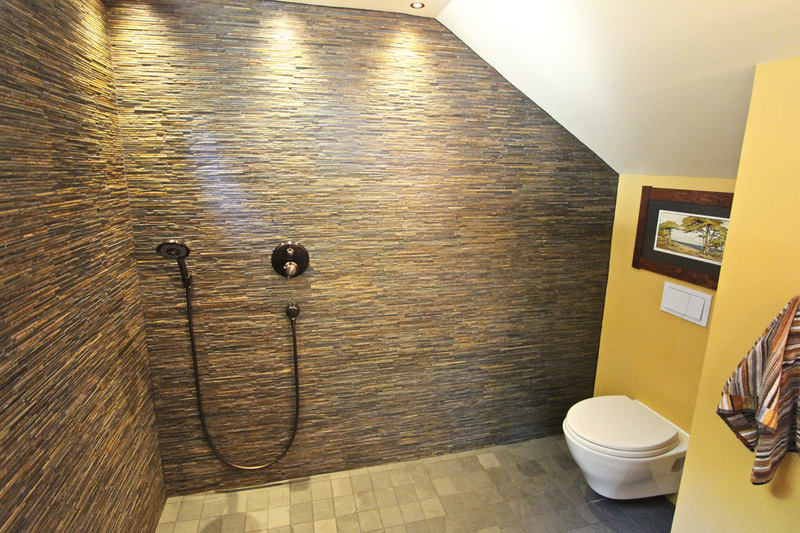 A former coat closet, this under-stair space was converted into a cavelike wetroom. 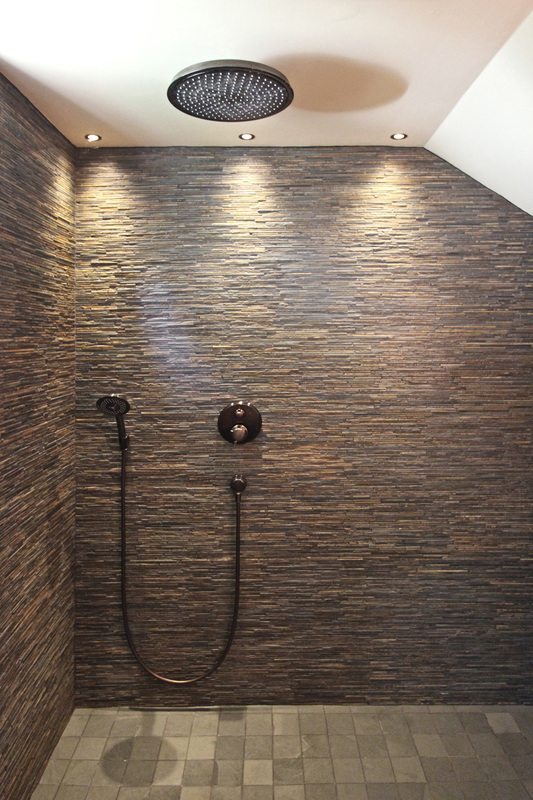 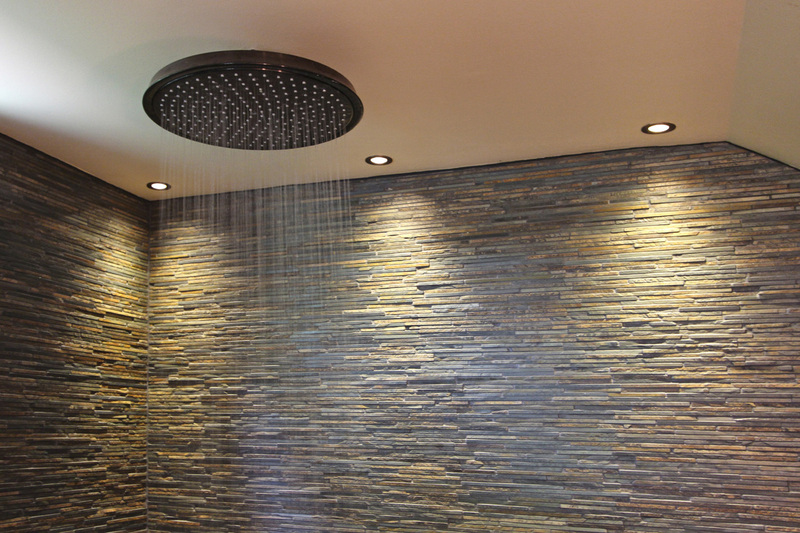 A simple powder room at first glance, the entire space becomes a luxurious shower. 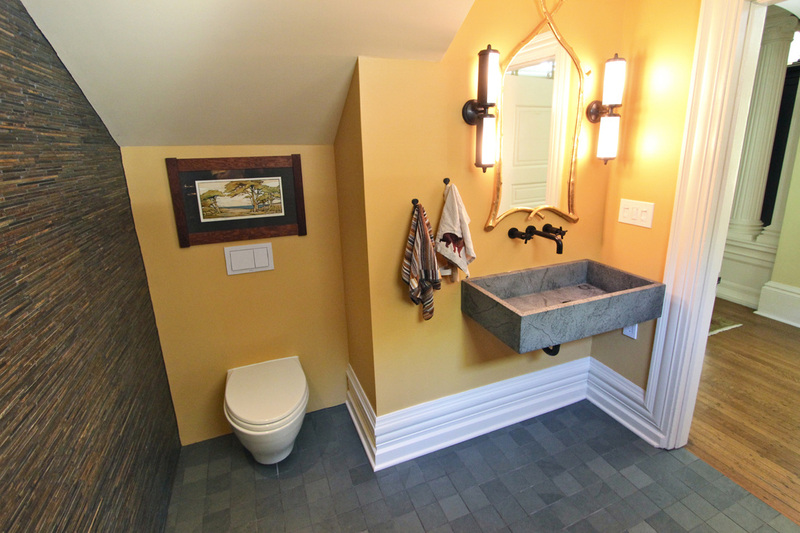 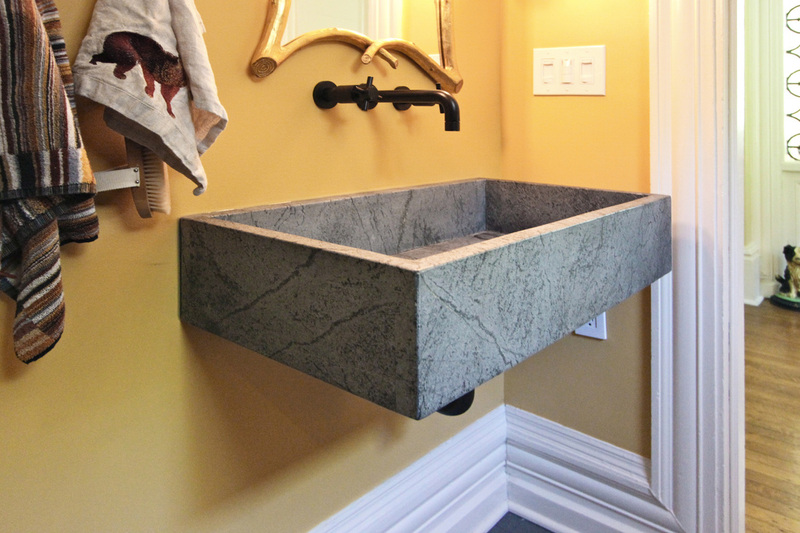 Fully waterproofed, with barrier-free entry, this bathroom features natural slate tile and soapstone sink.